A classic steak or beef burger but with a gourmet twist. 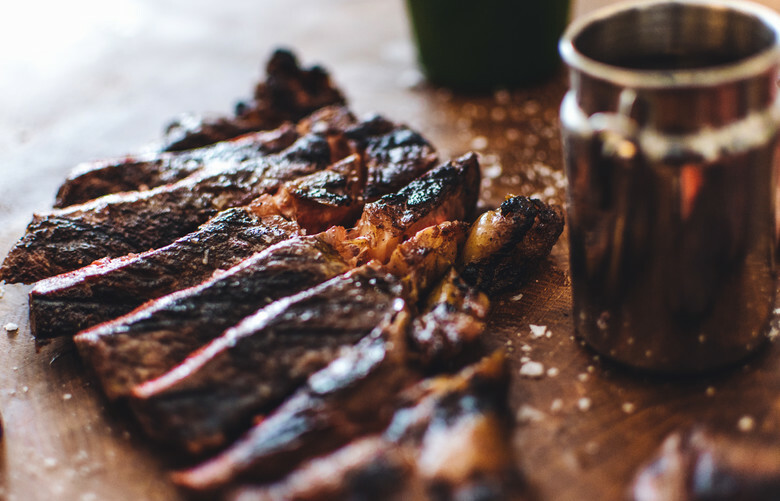 All the cuts are made to order and the beef is a British rare breed and grass-fed butchered on-site. The founders, Matthew Gregson-Jones and Jamie Patel are big supporters of ethical farming and even go as far to cut down on waste by using the bones for sauces and beef dripping. The ethical gourmet butchers are in!